Finding a reliable locksmith or say a family locksmith that can come handy and help you in the lockout situation. Imagine this, you have come from a long trip only to find out that you have lost your keys somewhere and you, your family are waiting for a locksmith to arrive and rescue you from the lockout situation. What will happen if you do not have the number of a good locksmith handy? Nothing but a nightmare you have come across and you simply do not know how to go ahead from here. Situations like these can be handled easily if you latch on to a credible locksmith company like GreenPro Locksmith. An experienced and smart team of locksmith in Atlanta back us and they very well know the dynamics of residential and commercial locking systems. So next time you have locked yourself out of your property, do not grudge and call GreenPro Locksmith immediately. We have local locksmiths spread over, who will reach you any time and rescue you. If you are among those people, who do not call a locksmith until an emergency confronts you then this is the right time that you have come to us. Taking certain proactive steps is required if you do not want to end yourself up under lockout disasters. Keys are very important to handle and if you among those who have inculcated a habit of losing your keys then the locksmiths of GreenPro Locksmith are on toes to help you. Make sure that the locksmith you are hiring is a certified one. A certification from the government would mean that the locksmith has passed all the levels of scrutiny and has received certificate based on excellence the premium service he will provide. GreenPro Locksmiths have achieved certificates from the government-authorised agencies. Instead of calling national call centres, look for something local. When you call a local locksmith, you can always track his location and can put more trust in him rather than calling someone at national level. The local locksmith will know about the local locking mechanism better. Before you call any locksmith, ask your friends, neighbours about any locksmith they have hired before and go as per the recommendations. Word of mouth is very important while making a decision of hiring a locksmith. 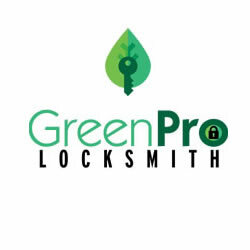 GreenPro locksmith will suit all the above criteria and you can trust us for any of your lock related issues. At GreenPro Locksmith, we provide commercial locksmith and business locksmith service. Our company value the time and energy that goes into situations caused by locks and security of commercial buildings and businesses. At GreenPro Locksmith, we ensure efficiency for residents of Sandy Springs when you subscribe to our commercial locksmith and business locksmith services.